Firstly I’d like to say a big thank you to Jenny over at http://curiousaliceloves.wordpress.com for my nomination. 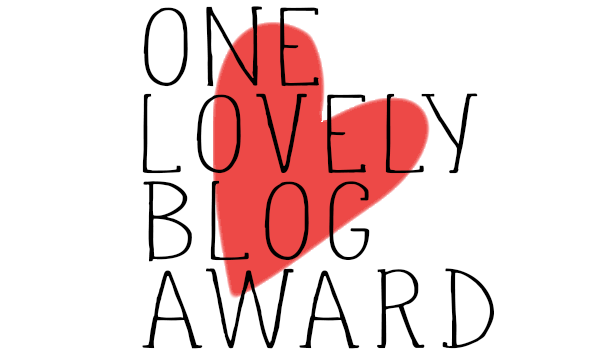 Here is my post for the Lovely Blog Award…it’s been a long time coming but I’m glad to be back! – You must thank the person who nominated you and include a link to their blog. – You must list the rules and display the award. 1. I am a twin. My twin brother is called William. 2. Like Jenny, I haven’t taken my driving test. In fact, I haven’t even started driving lessons yet! I’ll have to wait until I have more money. 3. I study English Literature at university so I’m always reading! 4. Sometimes I use a walking stick when I’m having a particularly bad day. It’s taken a long time to get used to and accept, but I know that if it helps, it’s the best thing for me. 5. I have an obsession for the Sims 2. I’d say I’m ashamed, but I’m absolutely not and I don’t regret admitting to it! 6. I HAVE to have a coffee in the morning, otherwise my day doesn’t ‘go’ as well as I’d like to. I’m aware it’s not the best habit, but it’s a difficult one to break! 7. Despite having to have a coffee fix every morning, I’m definitely a tea girl. I love tea! I love green tea especially, however I do have a strange habit of drinking it through a straw. Apparently green tea is the worst beverage for your teeth and can seriously discolour them. So my dentist recommended I drink it through a straw. He told me this about 4 years ago and I haven’t looked back since! Also, my teeth are still white so it must be working. I’m a born-again blogger using a different site, (I used to be at htlcy.wordpress.com as Ramblings of a Teenage Tea Drinker) but I got very disillusioned with my blogging so I decided to start afresh, with a shiny new page and blog name. I hope you enjoy reading my posts! Happy nominating and I hope you’re having a lovely weekend!